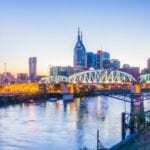 NASHVILLE, TN — Tennessee’s pivotal role in the ratification of the 19th Amendment will be celebrated on Women’s Equality Day. That’s Friday, Aug. 26, when a monument to the suffragists will be unveiled during ceremonies from 11 a.m. to 1 p.m. in Nashville’s Centennial Park near The Parthenon. The event will be live-streamed beginning at 11 a.m. CDT for those who can’t attend and want to watch the program. See address below. Renowned Nashville artist Alan LeQuire cast the bronze sculpture featuring five important women involved in the final ratification battle in Nashville in August 1920. 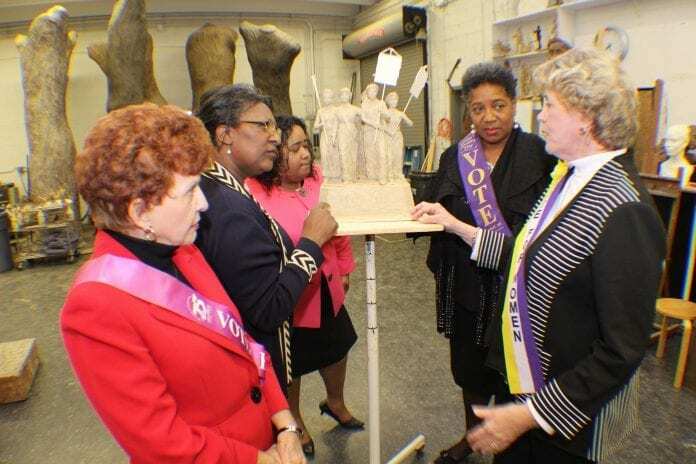 The art was commissioned by Tennessee Woman Suffrage Monument, Inc., and will be prominently displayed in Centennial Park. The five suffragists, who are in heroic scale are: Anne Dallas Dudley of Nashville; Abby Crawford Milton of Chattanooga; J. Frankie Pierce of Nashville; Sue Shelton White of Jackson; and Carrie Chapman Catt, national suffrage leader who came to Tennessee to direct the pro-suffrage forces from the Hermitage Hotel. The program will include Mayors Megan Barry of Nashville, Kim McMillan of Clarksville, Madeline Rogero of Knoxville, and Jim Strickland of Memphis. Three Tennessee Trailblazers whose political careers were made possible by the suffragists’ victory will also be honored: the late state Rep. Lois DeBerry, the first woman to be elected Speaker Pro Tempore and the longest serving member of the Tennessee House at the time of her death in 2013; the late Hon. Jane G. Eskind, the first woman elected statewide in 1980 which was 60 years after the 19th Amendment’s ratification; and Rep. Beth Halteman Harwell, the first woman to be elected Speaker of the state House of Representatives. For more information, go to www.tnsuffragemonument.org.